I know, "data" had become a dirty word for many people, inducing eye-rolls, and anxiety. However, my love of helpful data runs deep, no matter how others might try to ruin it for me. 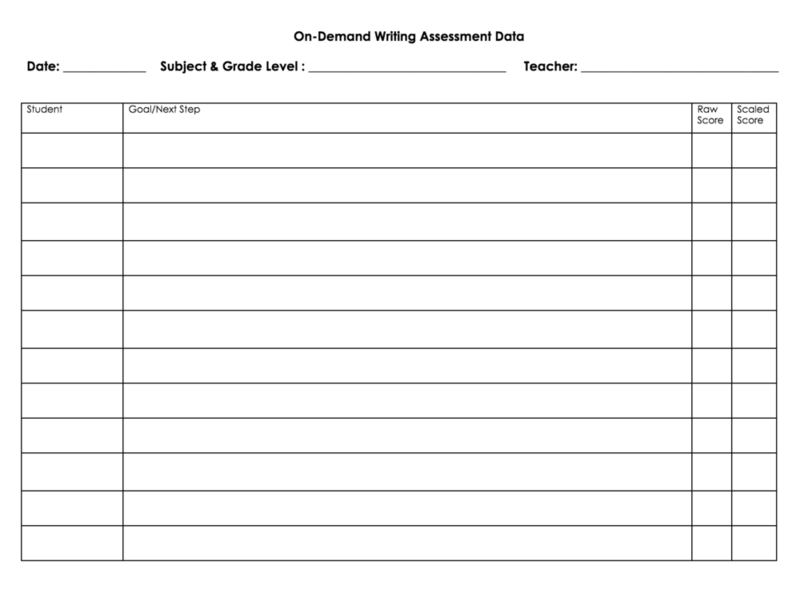 This information is like gold when it comes to designing your curriculum, setting attainable goals, adapting your units of study, conferring, and planning for small groups. Enjoy! Please note: I do not imagine any one teacher using ALL of these. These are simply examples that you might pick and choose from, or adapt for your own purposes. Each has pros and cons. For example, the first sheet highlights accuracy, which I don't love--but I do love that it is a quick, at-a-glance record of the whole class. 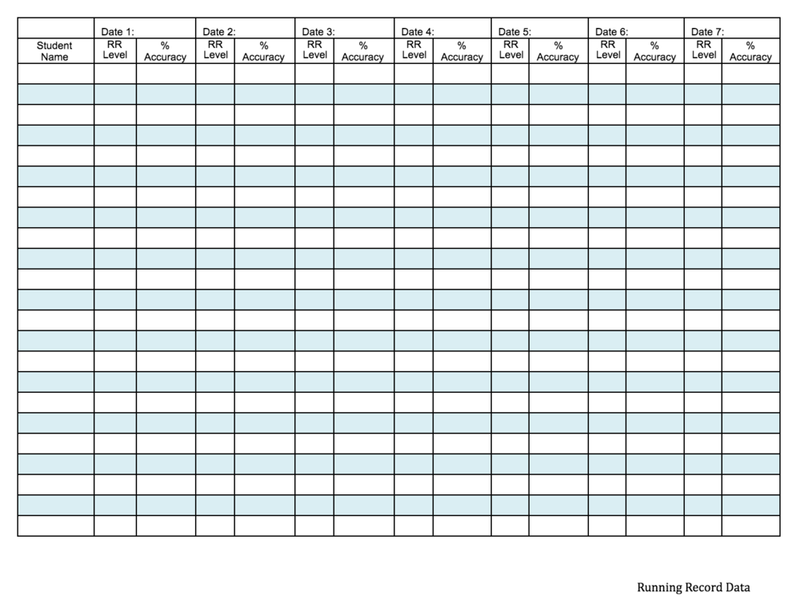 My current favorite is the second sheet, for it's usefulness in tracking individual goals. I like to keep a stack of these next to me while I'm doing running records - not waiting to fill out a pile of forms after the fact! Data is a four-letter word for most people, inducing eye-rolls and anxiety, but I won't let that spoil the fun for me. Helpful data is worth its weight in gold, in terms of its usefulness in setting attainable goals, planning instruction, conferring, small group work, and more. Here are just a few examples of data forms that I've found helpful. Disclaimer: Each of these forms has pros and cons. The first form, for example, highlights accuracy, which I do not love--but it is a quick at-a-glance snapshot of the whole class. The second form is my current favorite. I like to keep a stack of these right next to me to use alongside running running records, jotting notes on this form after each running record (rather than filling out a giant stack of forms at the end of the day).